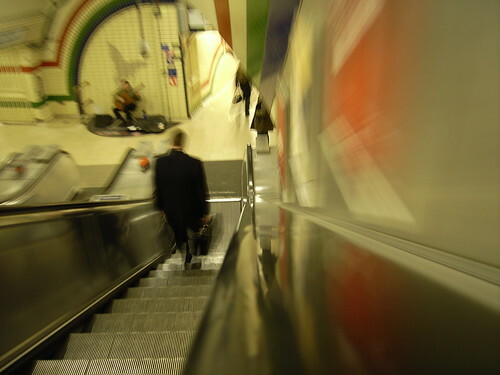 Interesting effects resulting from putting the camera on the escalator handrail, and just letting the camera do its stuff with the available light. Time to make sure I only fly with Virgin Atlantic? Apparently I can now use my Flying Club miles to book Virgin Galactic flights. If you live in the South West US (and Texas), and have a GPS, you can make a bundle tracking down fallen balloon wireless repeaters. Space Data’s SkySites are weather balloons with cellular repeaters that provide mobile communications to desert areas – but they don’t stay up long. As they’re expensive beasties, they radio where they’ve landed to their replacements. The company then posts an approximate location on its web site – where local geocachers can reserve the detailed coordinates of a specific device for 48 hours, enough time to head out into the desert, find the balloon, and claim their bounty. Chris Pirillo lists plenty of good Seattle restaurants here. Then there’s the Essential Baking Company, near Gas Works park, for excellent breads and sandwiches – and of course the option of grazing through Pike’s Place Market (for excellent chowder, chicken wings and doughnuts). On certain days almost 25 percent of the particulate matter clotting the skies above Los Angeles can be traced to China, according to the United States Environmental Protection Agency. Environmental experts in California predict that China could eventually account for roughly a third of the state’s air pollution. Just think of it as globalisation of pollution. 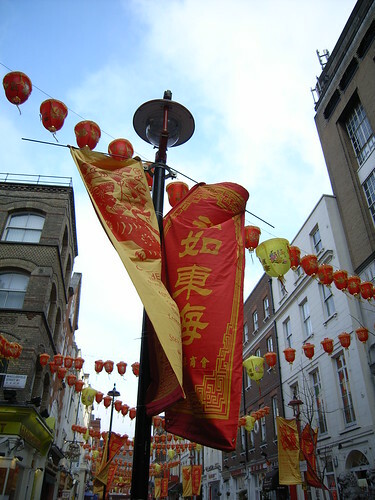 Chinatown, two days after the new year celebrations. It reminded me of the time I spent in Hong Kong, between the new year and the Festival Of Lights, when the city and islands are wreathed in a hot fog for months. I would stand under the tattered banners watching a lion dance cross a busy street, heading to bless yet another office block. If you run a search engine, here’s an idea for free. I like being able to search the web – for web pages, for map information, for local information. It’s become a default action for me, I keep wireless PCs in all the rooms of the house, and my phone has Google bookmarked and ready to use wherever I am. I can concoct search queries that get me to the information I want quickly and easily, avoiding paid search results and catalogue aggregation sites. Boolean search logic is just another language now. However, sometimes I’d like to search by date. This is where the utopia of the search engine suddenly comes to a screaming halt. Yesterday and I were planning a US trip (which is starting to look like it will fill most of March). As we were using the British Airways sale to book tickets, flights were limited – and the longer we stayed, the better the deal. So I tried to see if there were any interesting events we could visit whilst we were over. And that’s where everything fell apart. Could I get a search term to let me know if there where any conferences we could visit? No matter how I tweaked the search terms I kept getting the same list that I had to page through to track down the information I needed. I couldn’t sort it, filter it, or even tune the search. The trouble is: search engines don’t really like you trying to look for date ranges. A search term like “technology conference march 2006” doesn’t really mean anything to Google. You’ll get lots of results, but nothing to help you order results by date or by location. Date-based searching is as important as location-based search (and the two combine together very well indeed). As more and more people use, and rely on, search engines, the queries they use will become more and more complex. Of course there are issues with the semantics of date (let alone with date formatting). Are you asking for web pages created on a certain date, or containing information about that date? Are you specifying a date range, or are you looking for a specific date? These are complex questions – and I wonder if they’re the reason why the oft-rumoured Google Calendar is yet to appear. Microformats are one approach that could help here. Technorati has defined hCalendar as a web page-embedded XML-tagged equivalent for the familiar iCalendar format, which would allow search engines to build arrays of calendar data for search that could be linked to web content. Alternatively iCalendar-driven calendars are appearing all over the web. Apple’s iCal uses the format to publish web calendars to .Mac , as does Outlook and the new calendar tool in Windows Vista – and there are plenty of open source iCalendar servers, as well as desktop calendaring applications that can handle iCalendar data. What’s to stop these tools being used to ping a date registry when calendar information is posted in a public space? Not this variant of the old joke, or even this one, but instead an interesting experiment in tracking meme propagation.